MANCHESTER, Ga. — A high school principal in Georgia is speaking out after he says that he was fired for praying at a voluntary Fellowship of Christian Athletes meeting last month. Dr. Michael Lehr, who has served as the principal of Manchester High School for the past three years, told reporters that he was informed last month—just two days after he led prayer with the group—that his contract was not being renewed. While Lehr states that he was not provided with a reason for his dismissal, he does not know what else the matter could regard. The principal has been placed on leave without pay and is prohibited from participating in campus activities. A meeting is scheduled for May 12 to make his termination official. “As a non-tenured employee, I’m not entitled to an explanation or hearing,” he said. Fellowship of Christian Athletes is a voluntary group consisting of Christian students who are involved in campus sports. There are hundreds of chapters of the organization at schools across the country. Lehr had filled in last month after the leader was not able to be present to lead the students in prayer and Bible study. The gathering is held outside of school hours—either before or after school. One student that was a part of the group told reporters that other staff members have helped lead the meetings in the past. “He did our sermon and that was nice of him, but I didn’t think he would be fired for it, if that was the reason he was let go,” the student, who did not wish to be identified, stated. Parents state that they are concerned about Lehr’s termination, and believe that it is wrongful for the principal to be fired because of his involvement with Fellowship of Christian Athletes. “It is breaking our hearts … because it is not supposed to be like this,” one anonymous parent told News Radio 106.7’s Nathalie Pozo. Superintendent Carol Lane has declined to give comment on why she fired Lehr. The website for Manchester High School notes that Lehr and his family attend Manchester Church of the Nazarene. 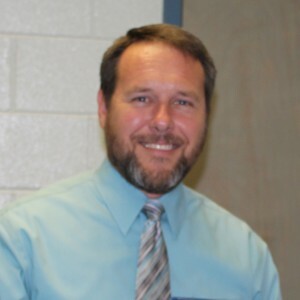 He was named the 1997 Teacher of the Year at T. J. Elder Middle School and the 1998 Teacher of the Year for the Washington County School System.